Ideal fabric for: Craft, Quilting, Dying, Dress making and curtian lining. 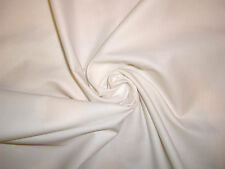 Pure 100% Cotton Fabric - White. Premium top Quality Fabric and very versatile. Composition - 100% Cotton. Extra wide 150cm. JERSEY Patterned Cotton Stretch Knit sold by half meter size 50cm - 150 more then one sold in one continuous length Condition is New. Dispatched with Royal Mail 2nd Class. Ponte roma Denim Blue Stretch Viscose Jersey Print Fabric Material. 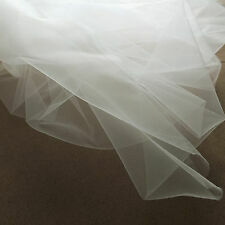 This double jersey fabric is of heavy double knit interlock construction giving it superb durability, weight and stretch. It looks expensive and would be equally appropriate for casual and formal attire.